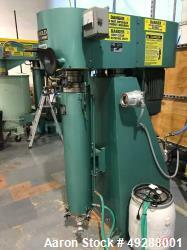 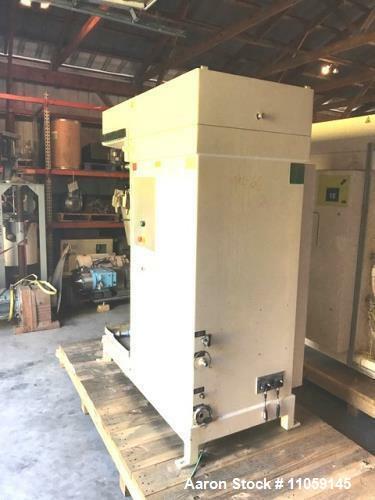 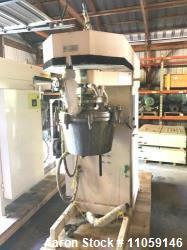 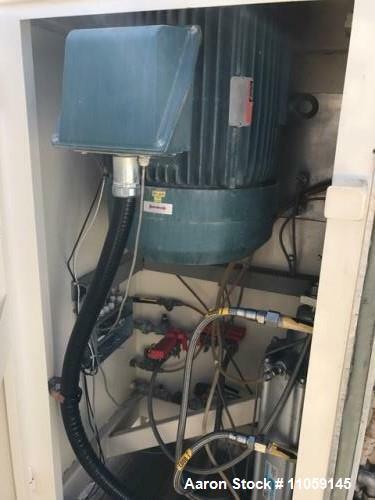 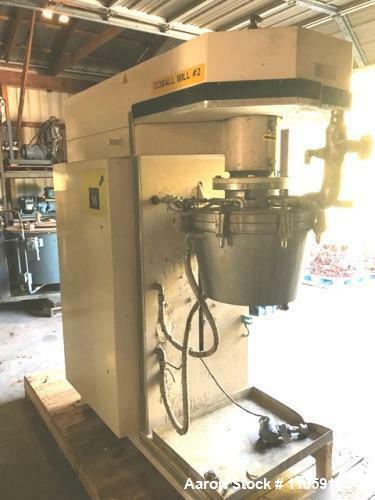 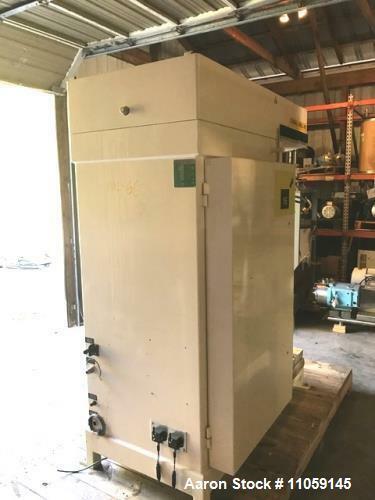 Used- Fryma Coball Mill, Model MS-50. 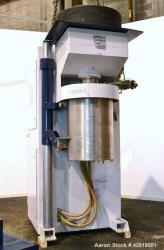 High performance annular gap bead mill for sub-micron milling. 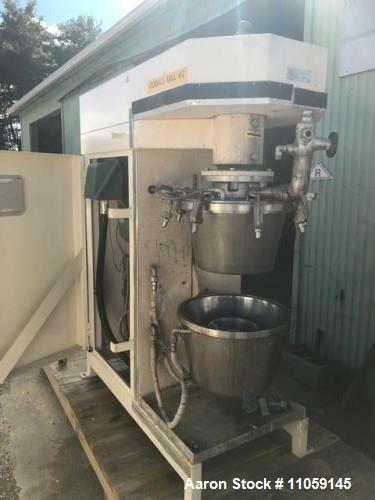 Capacity: 4 m3/hr. 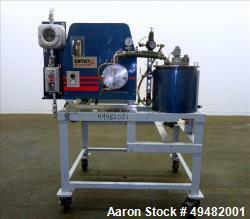 Capacity size 3 gallon(11.4 liter). 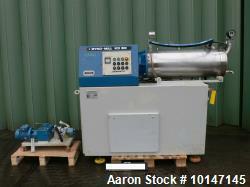 Capacity range approximately: 150-1000kg/hr. 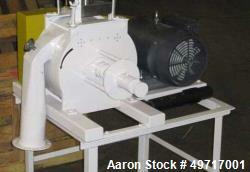 Product fineness approximately: 30 - <1um. 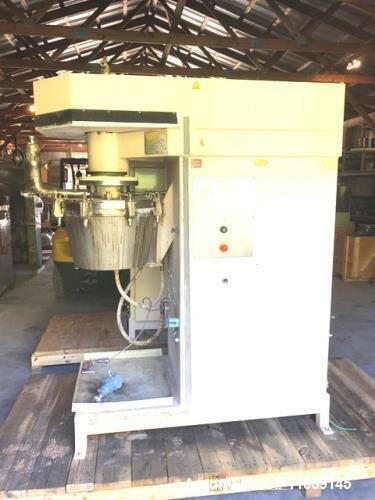 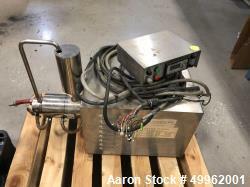 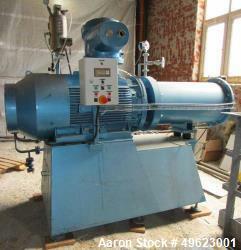 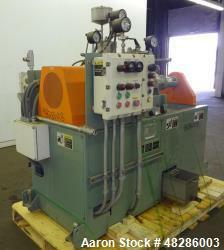 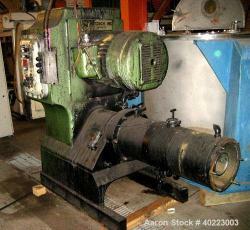 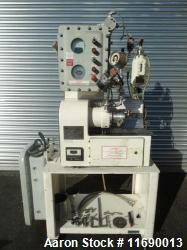 Used- Netzsch Pilot Horizontal Media Mill, LMZ-05.